Robyns Simple Life: Do Something About It!!! Comedy Central has recently re-broadcast a 2005 Denis Leary special called, “Merry F#%$in’ Christmas.” It also plans to air this program on Christmas Day. We complained to Comedy Central about this show in 2005 and we were rewarded with “Sacrilicious Sunday” in 2006 in which anti-Christian programs were aired all day on Christmas Eve. “Merry Christmas. Tonight we celebrate the birth of the Baby Jesus, whose mom, Mary, just happens to be a virgin—even after she apparently gave birth to Jesus. At least that is what the Catholic Church would have you believe. “Tom Cruise is taking a lot of s--- for belonging to a religion, Scientology, that believes aliens came to this planet 75 million years ago. That is nothing. I was raised Catholic. We believe Mary was a virgin and Jesus ended up walking on water, creating a bottomless jug of wine and rising from the dead. Oh, yeah, and Tom Cruise is crazy. 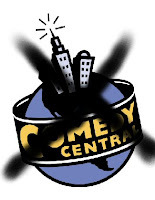 “For those who doubt there is a War on Christmas, they need look no further than Comedy Central. They are well aware that this special is offensive—indeed, mocking Catholicism is the goal—and they repeatedly re-air it, particularly on Christmas, to maximize the offense.